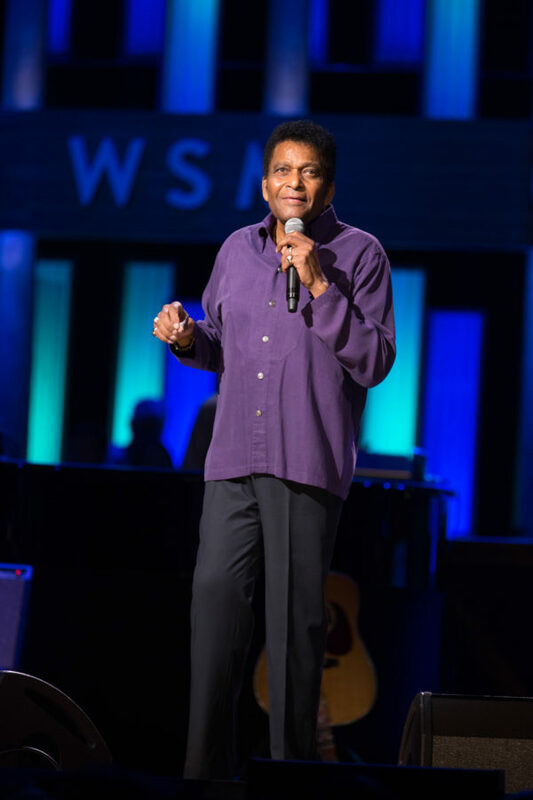 GRAND OLE OPRY LEGEND CHARLEY PRIDE SET FOR ANNUAL OPRY BIRTHDAY BASH | 2911 Enterprises, Inc.
NASHVILLE, Tenn. – The Grand Ole Opry® presented by Humana® is set to celebrate its 93rd birthday with an annual Birthday Bash and a special birthday concert by Opry and Country Music Hall of Fame member Charley Pride at 3 PM Sat., Oct. 13 at the Grand Ole Opry House in Nashville, TN. The Recording Academy Lifetime Achievement Award recipient made his Opry debut in 1967, charted 36 No. 1 singles, sold over 70 million records, and this year marks his 25th Anniversary as a Grand Ole Opry member. Concert tickets go on sale July 20 at 10:00 am at (615) 871-OPRY and opry.com. JUL 20 – Shooting Star Casino / Mahnomen, Minn.
AUG 11 – Sugar Creek Casino / Hinton, Okla.
SEP 15 – Crystal Grand Music Theater / Wisconsin Dells, Wis.
SEP 22 – Seneca Allegany Resort & Casino / Salamanca, N.Y.
OCT 05 – The Welk Resort Theatre / Branson, Mo. OCT 26 – The Welk Resort Theatre / Branson, Mo. Be sure to follow Pride on Facebook and charleypride.com. The Grand Ole Opry® is presented by Humana®. Opry performances are held every Friday and Saturday of the year, with Tuesday night shows through December and season Opry Country Classics shows on Thursdays. To plan an Opry visit, call (800) SEE-OPRY or visit opry.com. The Opry presents the best in country music live every week from Nashville, Tenn. Celebrating nine decades of entertainment, the Opry can be heard at opry.com and wsmonline.com, Opry and WSM mobile apps, SiriusXM Satellite Radio, and its flagship home, 650 AM-WSM. The Grand Ole Opry is owned by Ryman Hospitality Properties (NYSE: RHP). For more information, visit opry.com.